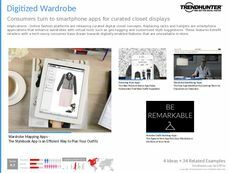 Find Better Ideas, Faster ® with a custom futuristic fashion trend report, our PRO Dashboard and 80+ categories of premium trend reports. 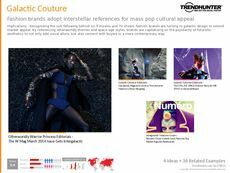 The Futuristic Fashion Trend Report is an exciting look forward into the exciting possibilities for innovation within the world of fashion. 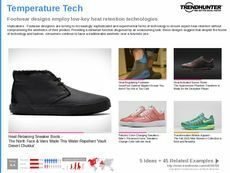 Our research tracks the latest futuristic fashion trends utilizing exciting elements like 3D-printing, smart technology and mobile app connectivity to showcase the many possibilities set to revolutionize the industry. We also explore design elements inspired by futuristic-themes within modern fashion as well, providing readers with a comprehensive look at the industry as a whole. 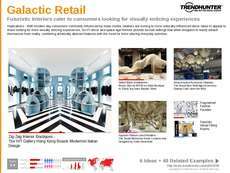 Our curated collection of futuristic fashion trends is highly beneficial for professionals entrenched within the fashion industry -- from professional designers to major retailers. This cutting-edge research will also benefit those in the tech development industry looking to gain an enhanced understanding how new technology can be incorporated within the realm of fashion as well. The Futuristic Fashion Trend features a wide selection of innovative technologies and envelope-pushing designs that rethink what we know about modern fashion.